You’ve finished writing your cover letter. Sorted out the Oxford comma. Kept your eye out for em dashes. It reads great, but looks bland. Just like DaVinci painting Mona Lisa, you can spend the next 10+ years playing around with fonts, matching colors, trying out different layouts, and adjusting page margins. Just find a nice cover letter template online and get your cover letter in shape in no time. You’ve been there. You’ve done that. And you know the Internet is full of junk. We’ve gone that extra mile for you and separated the wheat from the chaff! Below you’ll find our selection of nine user-friendly, professional Google Docs cover letter templates. Most of them are totally free of charge. All of them will make your cover letter stand out from the crowd. Free Google Docs cover letter templates better than 9 out of 10 others. Instructions on how to use a cover letter template in Google Docs. Examples of downloadable Google Docs cover letter templates from all over the Internet. Our selection of professional Google Docs cover letter templates. Want to write your cover letter fast? Use our cover letter builder. Choose from 20+ professional cover letter templates that match your resume. See actionable examples and get expert tips along the way. Cover Letter for a Resume—See more cover letter templates here. It’s sometimes as simple as going straight to your Google Drive, and browsing through the original Google Docs cover letter templates. If you believe that simplicity is the ultimate sophistication, the Spearmint Google Docs cover letter template could be your first and last choice. It makes great use of white space, modern typography, and elegant, subdued graphic elements. The name of this Google Docs cover letter template is not accidental. All its elements have been precisely planned to serve the purpose. The personal details section stands out in an unobtrusive manner. The choice of fonts, their sizes, and the layout create a balanced whole. This creative Google Docs cover letter template is sure to attract anyone's attention. Not only because of its elegant and futuristic graphic elements, but also effective use of colors and modern typography. It strikes a perfect balance between creativity and professionalism. The Business Letter Google Docs cover letter template blends tradition and modernity into a harmonious whole. It achieves this effect by cleverly mixing two kinds of fonts, and adding a touch of color. It could be your go-to template for any kind of formal correspondence. How to find cover letter templates in Google Docs? Make sure your Google Drive display language is set to English. Click the Google Apps icon in the top right corner of the screen. Scroll all the way down to Letters. Click on the template you like. Also, each editable Google cover letter template comes with a corresponding resume template in Google Docs. Finding a great Google Docs cover letter template is like buying a pair of jeans. By the time you find a fitting one, you’ve tried on dozens, been to 25 different stores, and you’re really… angry, to say the least. You're still not sure you’ve picked the best one. We’ve looked into every virtual nook and cranny. UpResume’s Saturn bundles Google Docs resume and cover letter templates. 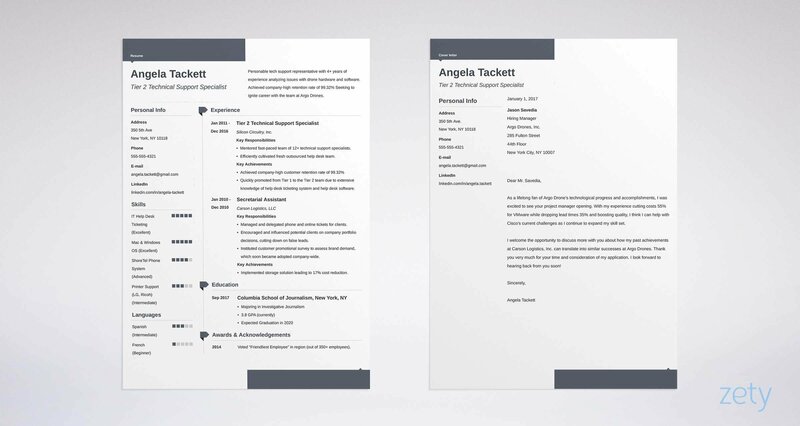 The cover letter template for Google Docs has a two-column layout to make the most of a single page, and present all the important information. It’s elegant, simple, and easily scannable. Here’s the link to this Google Docs cover letter template. This Google Docs cover letter template by Studio Teti uses a couple of simple design elements to achieve an aesthetically pleasing and eye-catching whole. The framing around the candidate’s name immediately draws the reader’s attention. Contact details and icons at the bottom add a modern touch. 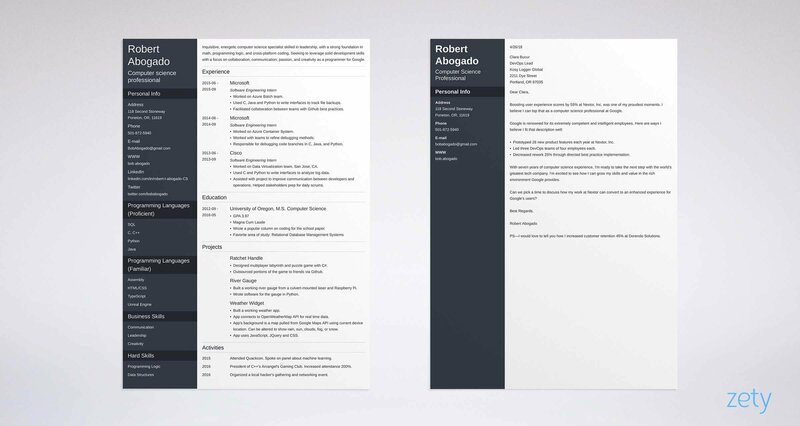 This free bundle of Google Docs resume and cover letter templates by Michael Neuhauser looks modern and crisp. It uses a simple, light-brown band of varying size to accentuate important sections and unify the design across the bundled templates. It’s effective and elegant. This Google Docs cover letter template by Studio Teti mixes creativity with a modern professional style. The handwriting font used in the headline is eye-catching and adds a personal touch. UpResume’s Mercury Google Docs cover letter template looks fresh and professional. It combines fonts, colors, and simple graphic elements into an elegant whole. It consists of three separate sections, which makes it readily scannable. How to Use Free Google Docs Cover Letter Templates? You may be particularly drawn to the Resume Napea free Google Docs cover letter template. We downloaded and installed the template to check if it works. Download your free Google Docs cover letter template. Go to “Google Docs” folder. Open the file inside. Pick one of the template links and click it. Rename the document and save it on your Google Drive. Edit your Google Docs cover letter. Reduce the number of steps down to just one. If you delve into online resources, you’re bound to come across some stunning downloadable Google Docs cover letter templates. You can use a lot of them for free to customize your cover letter or resume. If you use Google Docs templates and Google Drive this way, you turn them into a Google resume builder of a sort. Mind you, though. Once you start filling in the templates with your content, the formatting may start to look funny. That’s the downside of relying on Google Docs templates, Open Office templates, or even MS Word cover letter templates. A cover letter doesn’t just need to look good. It must speak volumes. A cover letter would mean nothing without a winning resume.